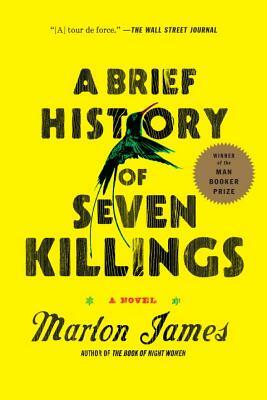 Marlon James was born in Jamaica in 1970. His most recent novel, A Brief History of Seven Killings, won the 2015 Man Booker Prize. It was also a finalist for the National Book Critics Circle Award and won the OCM Bocas Prize for Caribbean Literature for fiction, the Anisfield-Wolf Book Award for fiction, and the Minnesota Book Award. It was also a New York Times Notable Book. James is also the author of The Book of Night Women, which won the 2010 Dayton Literary Peace Prize and the Minnesota Book Award, and was a finalist for the 2010 National Book Critics Circle Award in fiction and an NAACP Image Award. His first novel, John Crow’s Devil, was a finalist for the Los Angeles Times Book Prize for first fiction and the Commonwealth Writers’ Prize and was a New York Times Editors’ Choice. James lives in Minneapolis.